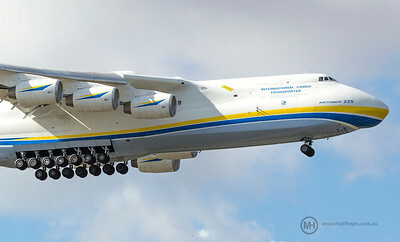 The Antonov An-225 Mriya (Ukrainian: Антонов Ан-225 Мрія (Dream), NATO reporting name: "Cossack") is a strategic airlift cargo aircraft that was designed by the Soviet Union's Antonov Design Bureau in the 1980s. 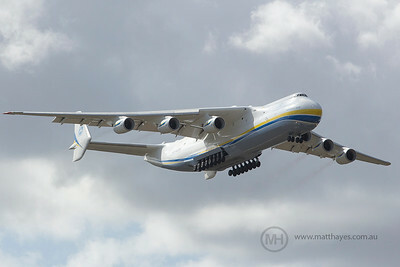 The An-225's name, Mriya (Мрiя) means "Dream" (Inspiration) in Ukrainian. It is powered by six turbofan engines and is the longest and heaviest airplane ever built, with a maximum takeoff weight of 640 tonnes (1,410,000 lb). It also has the largest wingspan of any aircraft in operational service. The single example built has the Ukrainian civil registration UR-82060. A second airframe was partially built; its completion was halted because of lack of funding and interest. 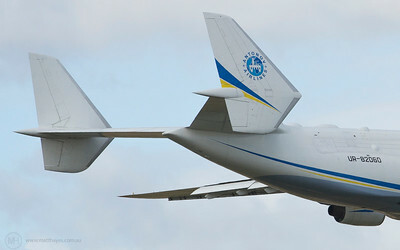 The Antonov An-225, initially developed for the task of transporting the Buran spaceplane, was an enlargement of the successful Antonov An-124. 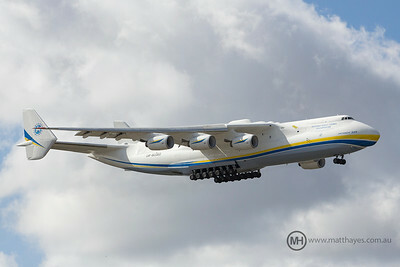 The first and only An-225 was completed in 1988. After successfully fulfilling its Soviet military missions, it was mothballed for eight years. 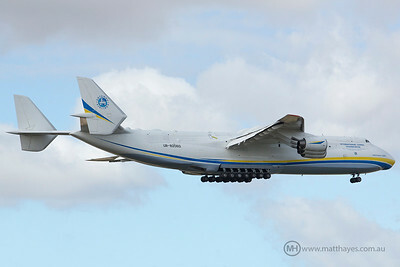 It was then refurbished and re-introduced, and is in commercial operation with Antonov Airlines carrying oversized payloads. The airlifter holds the absolute world records for an airlifted single item payload of 189,980 kilograms (418,834 pounds),and an airlifted total payload of 253,820 kilograms (559,577 pounds). It has also transported a payload of 247,000 kilograms (545,000 pounds) on a commercial flight.